I hope you all have fun dressing up, passing out candy, or whatever it is you do to celebrate. Last night I carved a couple of pumpkins and stocked up on candy. Tonight, I’ve got a couple of scary movies in my Netflix queue and I’ll be wearing my Zebra footie pajamas as a costume to greet trick-or-treaters with at the door! 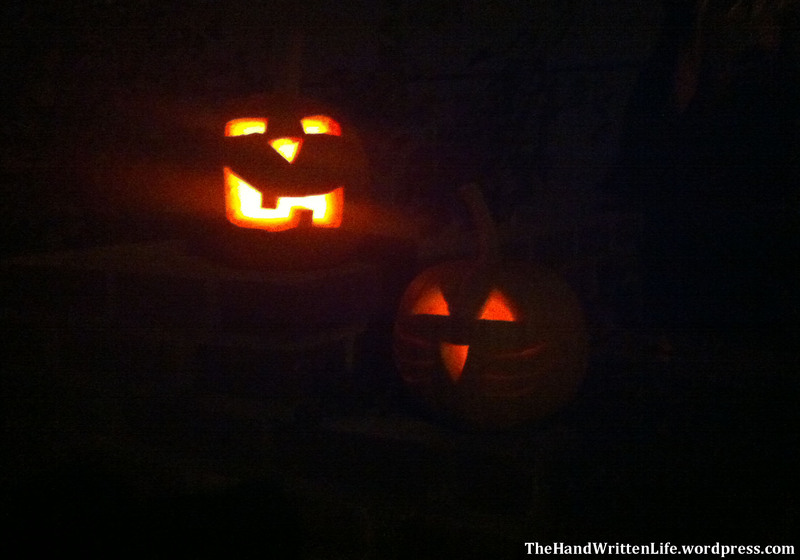 A Jack–O-Lantern and a Kitty Cat. And don’t forget – today is also the last day to enter to win the Fall Giveaway Basket! Check out the whole post here, and let me know what your favorite thing about Fall is, before it’s too late. The giveaway closes tonight at 11:59pm pacific. How are you celebrating Halloween? If your country doesn’t celebrate Halloween, what are your plans for the day? My costume this year was a killer alien scoping out the Earth for conquest. To avoid detection I was disguised as a normal looking human. It took hours to make, but it was worth it. Hahaha, I bet you had everyone fooled!!! 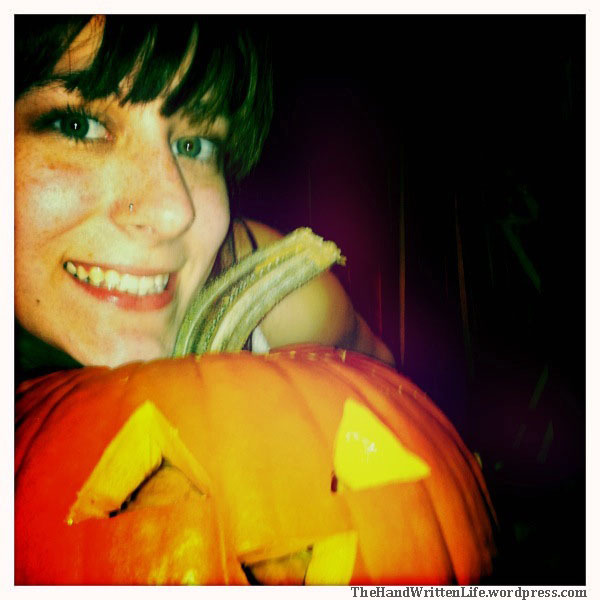 Hi, just popped in to check out your pumpkins, love them! 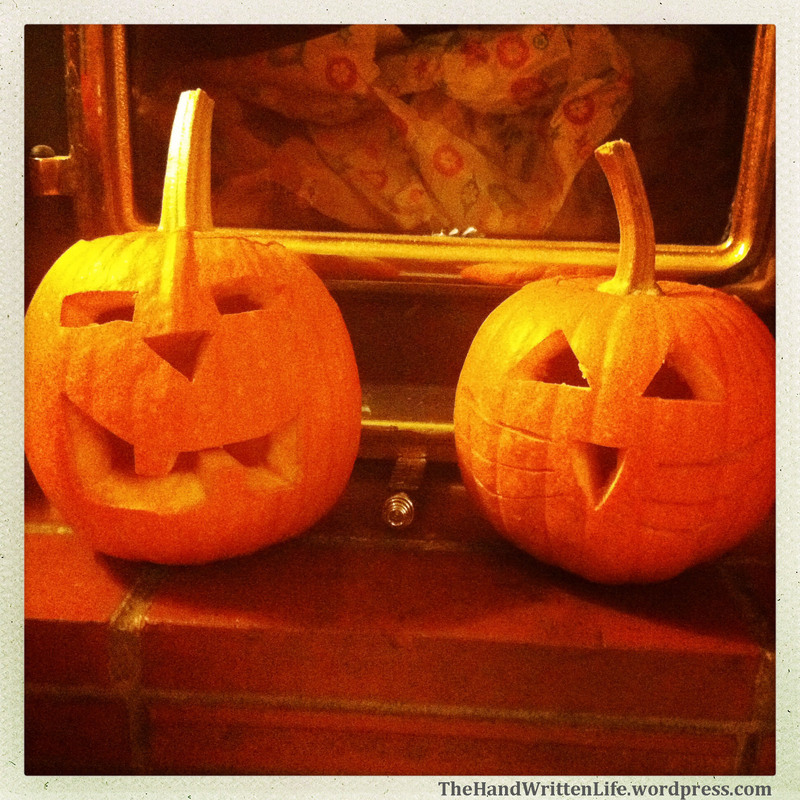 :-) … Hope you had a fun Halloween! Yay, thank you! I had a great Halloween, some scary movies, and a bunch of trick-or-treaters :) Hope you had a fun one as well!